For 186 years, the University of Michigan Medical School has offered unparalleled learning through high-caliber instruction, programming, and clerkship. Putting students first, the University of Michigan needed an efficient system to collect applications for medical education and graduate school preparation programs. The University of Michigan Medical School was challenged with collecting hundreds of applications for multiple education programs at once, and needed a solution to move the application process out of the email inbox and improve communication between team members. With one centralized, online system to collect and review data, the University of Michigan Medical School is able to seamlessly manage their education programs, communicate across teams, and assist students throughout the process. The University of Michigan Medical School is now able to manage the intake and review process for several programs at once, and with a streamlined process in place, faculty members are able to dedicate more time to further developing program content. The University of Michigan hosts 19 schools and colleges within their vast 3,207 acre campus in Ann Arbor, Michigan. The city sits comfortably at #1 on Forbes list of best college towns in the United States. The University is home to one of the oldest physician learning schools in the country; the University of Michigan Medical School. 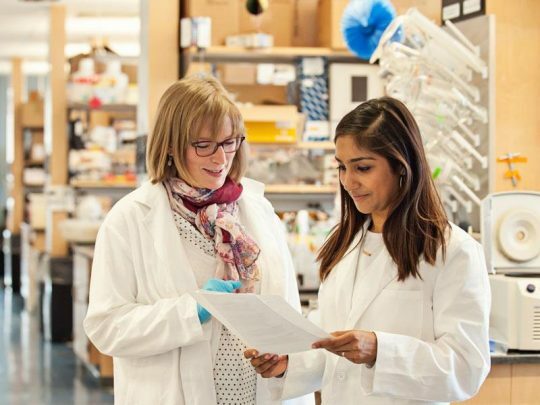 As the fourth largest school on campus, the Medical School faculty, partnered with a dedicated staff, is committed to creating the future of health care through discovery. 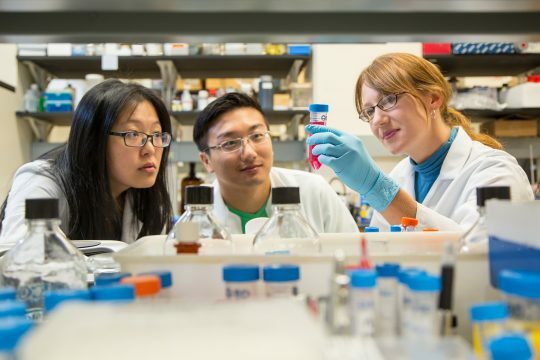 The office of Graduate and Postdoctoral Studies helps to prepare and train students who are interested in pursuing a graduate program or postdoctoral fellowship in the biomedical sciences, with an aim to provide a foundation and a community for trainees to explore the next step of their career. To ensure student success, the Office offers five major teaching programs to prepare students for the graduate school experience; Postdoctoral Preview, Program in Biomedical Sciences Preview, MEDPREP, PREP, and the Cancer Research Summer Internship. Jim Musgrave, Director of Graduate Admissions and Recruitment for the Office of Graduate and Postdoctoral Studies, plays a key role in managing and assisting with these programs to ensure the application, review and acceptance process runs smoothly for staff and students each year. Each student support program is designed to help students who are looking to further their medical education, by either offering them additional experience in their field or preparing them for a postdoctoral or graduate degree program. As the Systems Integration Analyst at the University of Michigan, JD Jordan works alongside Jim to make sure that faculty and staff have technology to help them reach their program goals efficiently. When he started to look for an online solution to save time and manage the application and review process, JD’s main priority was to take the process out of the email inbox. “The biggest problem I saw on a daily basis was people operating a workflow out of their email. When you have a multi-tiered process that has things coming in, coming out; going backwards and forwards; things being attached and removed, operating in your email is very inefficient and it creates a lot of problems,” JD says. Keeping the goal of connecting with students at the forefront of their mission, the Office also needed a way to manage the large number of incoming applications quickly and share the process with other staff, without creating additional administrative work. Through their preparation programs, the Office of Graduate and Postdoctoral Studies is committed to furthering the education and learning of students that pass through their halls. These opportunities provide students with experience and resources that assist in reaching their academic and career goals. With a system in place to capture application data online, programs hosted on SurveyMonkey Apply are easily accessible to students and can be monitored, reviewed and managed by various team members to ensure the best possible experience. “We’ve been able to enhance the user experience for the applicant, and then also streamline the experience for reviewers and coordinators,” JD says. With a streamlined process in place, JD says staff throughout the office take back time that can be used to work on initiatives that are important to program development. 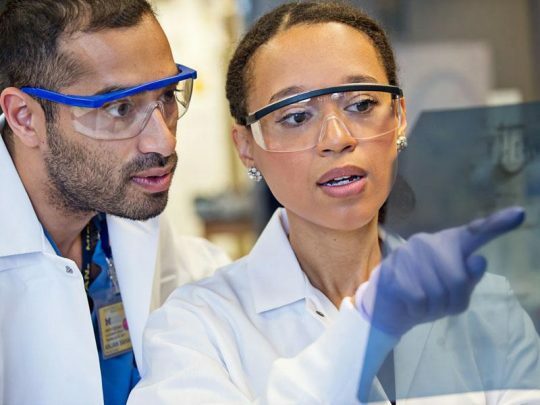 As the University of Michigan Medical School continues supporting the physicians of the future, students can continue their educational development knowing that there are faculty, staff and programming in place to help them succeed beyond limits.